Many people who generate revocable living trusts don’t truly reap all of the advantages available to them. They might understand the basic benefits associated with putting together a revocable living trust, but you need to ensure that you are heirs are able to enjoy the benefits of this trust down the road. 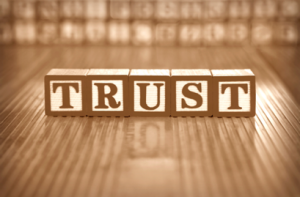 In a typical living trust, you and your spouse might transfer the title of the majority of your assets to the trust and then serve as co-trustees. This empowers you to maintain control over the assets and manage them as you did before, except you are serving as a trustee rather than the individual owner. There are numerous different benefits associated with a living trust, the first one is that your assets inside the trust avoid probate and a successor trustee will step in to manage on your behalf after you pass away. If the original one becomes disabled, a living trust can also be very beneficial. The most common mistake made with living trusts has to do with failing to transfer legal title of assets to the trust. This is referred to officially funding the trust and it can be done by sitting down in a meeting with an experienced estate planning attorney.